The Vicat Needle Apparatus is an IS: 5513 fabricated apparatus. We are trusted Manufacturer and Supplier of high quality Vicat Needle Apparatus. 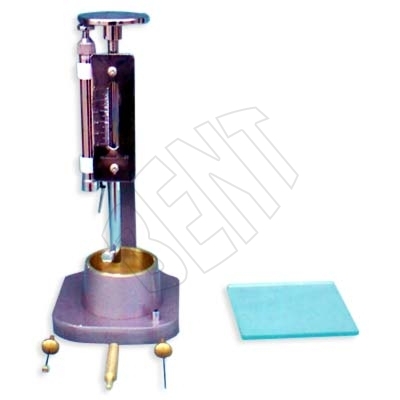 Vicat Needle Apparatus is used mainly for determining the normal consistency and setting times of cement. The apparatus comprises of a consistency plunger, an initial needle, a final needle, 70mm bottom dia and 40mm height having a glass plate, conical vicat mould of 60mm top dia,. The apparatus is available with dashpot alignment for jerk free lowering of needles.